It’s a wonderful Friday, the Geek Gods are smiling upon us, and they’re blessing us with sweet brews and games to entertain us throughout the weekend in the form of our newest podcast. 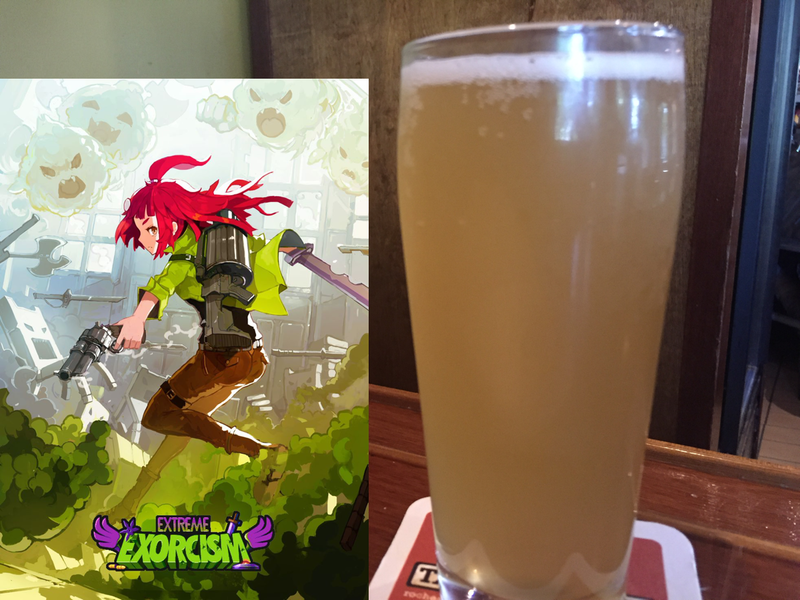 We tackle Extreme Exorcism from Ripstone Games and pair it up with Wittekerke Wild by De Brabandere Brewery. It’s an episode you won’t want to miss, so check it out below! You can pick up the game on most major console platforms as well as on Steam. Visit the De Brabandere Brewery website to see where to get your hands on this brew. Check our Facebook page for updates, along with our Twitter and Instagram. We also have an UnTappd account where you can see what we’re drinking; and you can catch us on iTunes for your listening pleasure. I’ve always been a fan of Platforming games. Give me a Mario Bros. any day of the week and I’ll play it all day long. The new ones hearken back to a simpiler time in agaming, and if it’s done right, the nostalgia and gameplay can be a win/win. 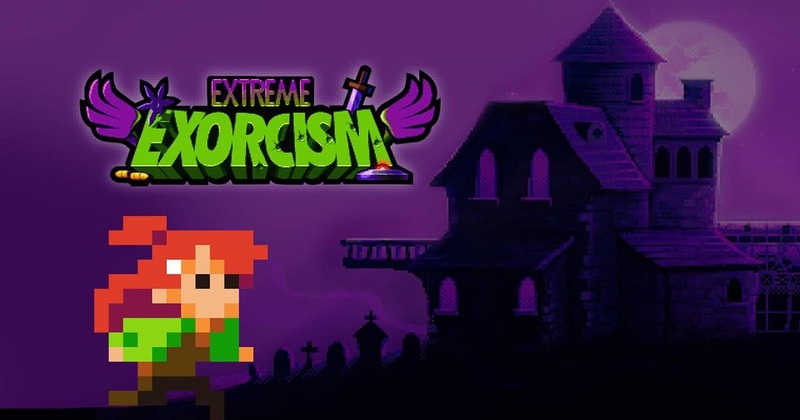 This is the case in Golden Ruby Games‘, Extreme Exorcism. You choose a character and a level, and then go around bashing/shooting/womping ghosts through a series of levels and try not to die too many times. Not an advanced concept by any means, but it doesn’t have to be. The graphics are simplistic and 8-bit. The music is chiptune-y and eerie. The biggest plus though? My fiancee wanted to play along with me and didn’t get discouraged when she died. Four people can play it at once, and that’s where the biggest points go to the game. Teamwork makes the dream work they say, and it also keeps the ghosts away!